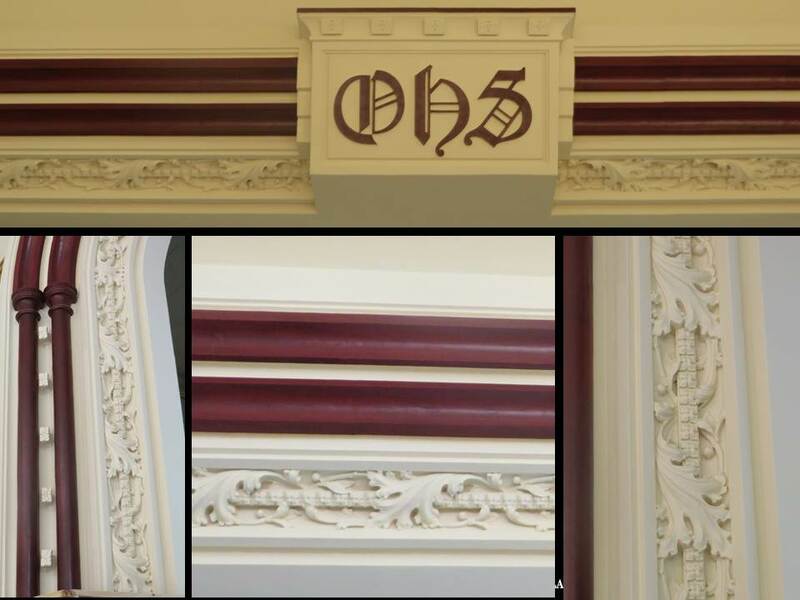 As a part of the construction documents for the conversion of the American Farmers and Ranchers Insurance Company building (latest occupants with previous occupants being One Bell Central and Central High School) into the OCU School of Law, FSB laid out specific instructions for saving the history of Oklahoma High School through the preservation of the remaining pieces historic fabric inside the facility. At the time of the original construction in 1910 the workmen were true craftsmen and artisans at their respective trades. In particular, the pieces of history remaining in the building were primarily the work of tile setters and plasterers. The workmanship is incredible and approaches a level of quality of artwork. The following side by side plans show the layout of the original high school and the current plans of the law school. Highlighted are the areas where history is being saved. The interior areas of historic fabric are limited to the current 3rd, 4th and 5th levels of the building. 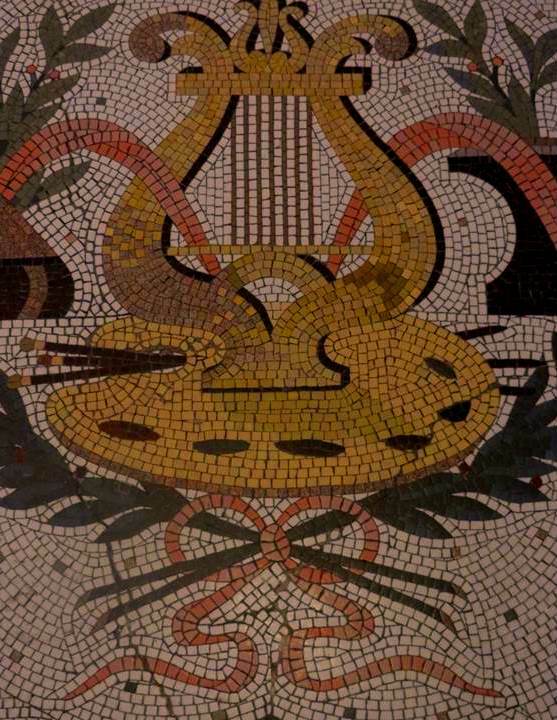 The historic elements on the 3rd level include the mosaic tile work in each of the 3 entrances. Most of individual tiles are as small as 3/8” square. The main high school entrance was on the east facing Robinson Avenue with secondary entrances on the north and south. 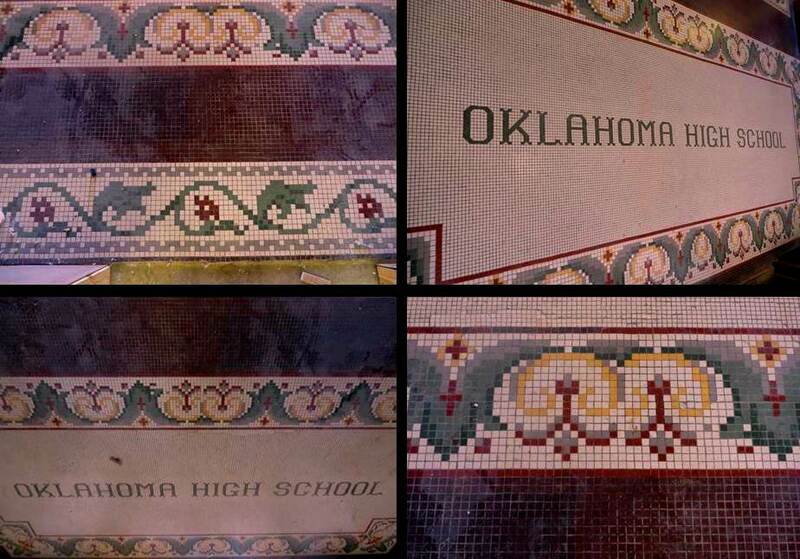 The north and south entrances proudly announced Oklahoma High School in the floor bordered by detailed patterns tile. I took the following photos recently at the construction site and the tile has a light layer of construction dust. 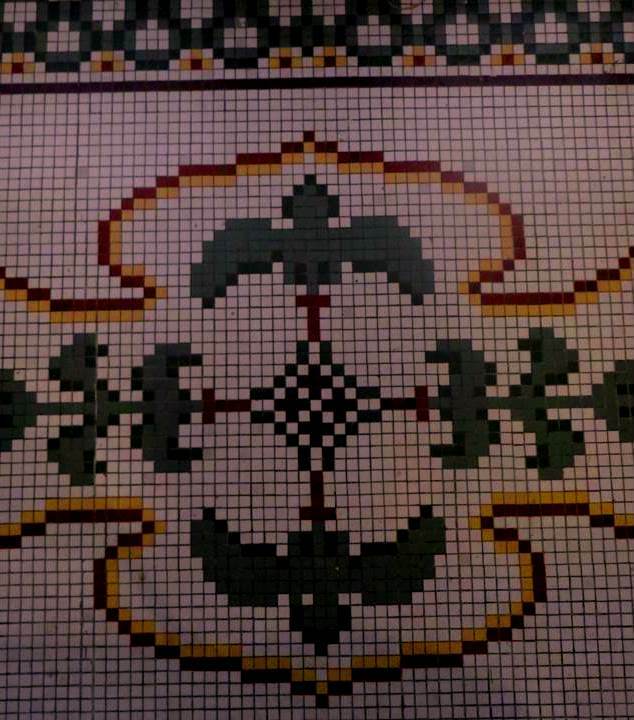 Imagine the brilliance of the tile when is cleaned. The main east entrance brought you into a large vestibule with detailed artwork in the mosaic tile layout in the borders of the room. The close up photos shows the intricate layout of the elements of the art. As you move to the interior of the 3rd level the space opens up to a higher area that combines the volume of the 3rd and 4th floors. This is where the original auditorium with its stage and balcony. 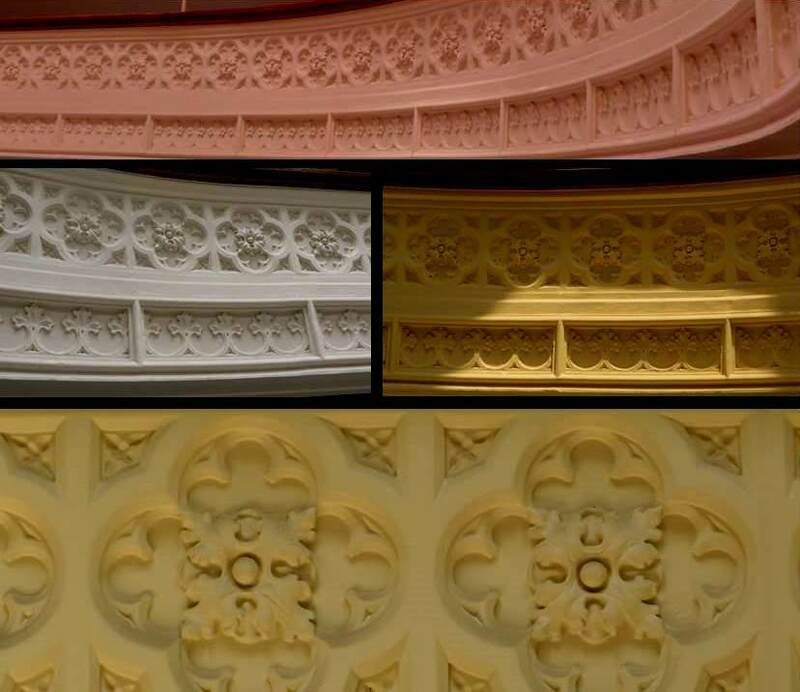 The proscenium opening of the stage and the edge of the balcony are surrounded by plaster detailing which was originally all created by hand; a lost craft in today’s world. The plaster would have horse hair mixed in to help hold the plaster shapes together. The plaster detailing around the edge of the balcony took on a chameleon effect as the colors and hues changed with the changing light. While the work of the tile setters and plasterers is truly a work of art, there was an amazing pair of murals in the east main entrance that was art created by a Oklahoma artist by the name of Olinka Hrdy. We’ll talk about her life next.